In the very first scene of Bohemian Rhapsody, we see Freddie Mercury (Rami Malek), lead singer of the rock band Queen, walking from the backstage area onto the main stage at Bob Geldof's charity concert Live Aid in 1985. The story of Bohemian Rhapsody then jumps back in time to the year 1970 when Farrokh Bulsara (later known as Freddie Mercury), is a 24‐year‐old art student and part‐time baggage handler at Heathrow Airport. Farrokh and his family are Parsis from India (just like my dad by the way, which leads me to believe that I may somehow be related to Freddie Mercury). A devout Parsi, Freddie's father continuously reminds his son of their religion's maxim "good thoughts, good words, good deeds". 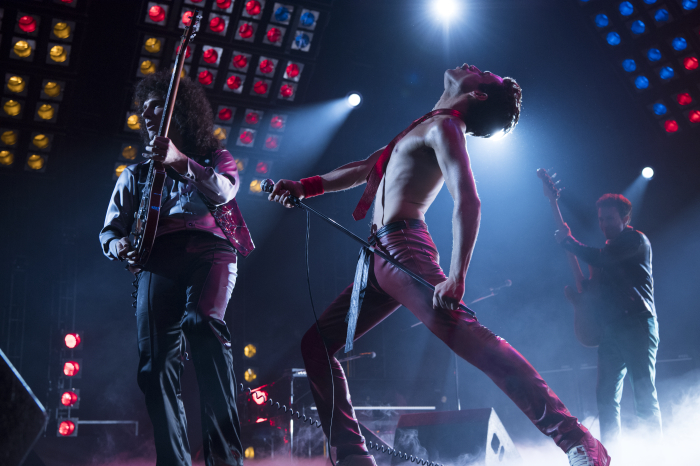 When watching a concert one night, Freddie befriends Brian May (Gwilym Lee), Roger Taylor (Ben Hardy) and John Deacon (Joseph Mazzello), with whom he later founds the rock band Queen. He also meets a girl called Mary (Lucy Boynton), who becomes his girlfriend and fiancée. But when Freddie realizes that he is actually gay and breaks up with Mary, he surrounds himself with some rather shady people such as his personal manager and new boyfriend Paul Prenter (Downtown Abbey's Allen Leech), who everyone else in the band despises. Many of the film locations for Bohemian Rhapsody can be found in or close by to London, where the real Freddie Mercury and his Queen bandmates lived. 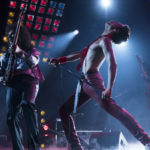 Among them are the London nightclub “Heaven” and Hornsey Town Hall in Haringay, North London, which was used for the scenes in which the band members play their song "Bohemian Rhapsody" to their record executive. The real Freddie owned a mansion called “Garden Lodge” in Earl’s Court, West London, which he left to his former girlfriend and lifelong friend Mary (because as Freddie put it, if had married her, she would have inherited all of his property anyway). The mansion, where Mary still lives to this day, is very secluded though. So instead of filming there, the film crew found a very similar looking house in Ashcombe Avenue, Surbiton, Surrey for the exterior shots of Freddie's home. In 1984, Freddie moved to Munich, Germany with Paul in order to work on his first solo album “Mr. Bad Guy”. The Munich shots include an aerial view of the city and the prominent Munich church "Frauenkirche". The real Freddie also celebrated his 39th birthday here while filming the music clip for his solo song "Living On My Own" in a Munich nightclub. The biggest and most complex film set of Bohemian Rhapsody was the Wembley Arena in London, where the original Live Aid concert took place in 1985. To recreate this massive stadium, the film crew chose the Bovingdon Airfield in Bovingdon, Hertfordshire, UK. If you would like to explore the area of the real Freddie Mercury mansion in Kensington, you can book yourself into the nearby London Lodge Hotel, a cute little boutique hotel located in a Victorian townhouse. Near the tube stations Notting Hill and Queensway, you will also find "The Champion" pub, where Freddie used to be a local. Apparently, “The Champion” even inspired him to write his world‐famous song “We are the Champions” there. Today, the pub has a "Freddie Mercury lounge" in the basement, which is great for a traditional British roast lunch on Sundays (they also have a vegetarian one). Just remember to make reservations as the pub can get very crowded, especially on Sundays. There were some funny scenes in the film. But looking at the video below of the real Freddie Mercury, he definitely had a very particular sense of humour and there could have been more to emphasise this side of his personality in Bohemian Rhapsody. Bohemian Rhapsody was at times a bit slow, but overall a great biopic to learn more about the flamboyant personality behind the artist Freddie Mercury and the musical heritage he left together with Queen. 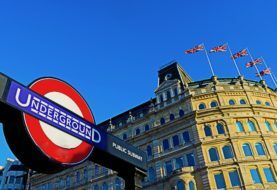 Disclosure: This blog post includes one affiliate link to booking.com. If you click on this link and make a booking, I will receive a small affiliate fee, which I will use for the costs of running my website. Some funny scenes and subtle humour. My personal highlight was the Live Aid concert at the end, in which Queen performed all of their well-known songs (including "Radio Gaga" after which Lady Gaga called herself). The film was a bit "slow" at times, and there were several Queen songs that started and then abruptly ended again. It would have been nice to hear more Queen songs in this film. Also, although the real Freddie had prominent teeth, I found Rami Malek's fake teeth a bit too much (especially in the beginning of the film).